I recently shared a few photographs and thoughts from The Great Northern Fishing show at Cudmore, where I was on the Harris Sportsmail stand for the weekend. But once day one was over and prior to day two commencing, there was time to kill. And with Tara lake 20 metres away I wasn’t going to let the opportunity to fish pass me by. So as soon as the public had departed, I changed from my work clothes into my fishing gear and headed to the water to do an overnighter. Harris Sportsmail had booked the venue for the duration of the show so I knew that pegs would be available. I settled into a spot and had plenty of space between me and the next anglers, who incidentally were Mick Brown on my left and Ben Hervey-Murray the other side. I was sandwiched between the stars! There is a map of the depths alongside the lake and as it has been dug specifically for fishing, there were no great surprises. Spending some time looking at the water I noticed that fish were showing all over, they were well spread out. So I decided to put one bait out towards the small island in the middle and the other a few lengths out into open water. I didn’t have long to wait for a fish, as one of the bite alarms came alive and line peeled from my Daiwa like there was no tomorrow. While I was playing the fish, Ben came round and eventually he took the photograph for me. I say eventually because no sooner had I taken the hook out and the carp was in the net in the margins, the other rod responded. This month’s video was filmed on that session and as Ben says on there, at least the second fish was considerate enough to wait until I had sorted the other one out before taking the bait. A short time later and I had a third fish on the bank. I thought I was in for a busy night but I had no more action until the next morning when I was getting ready to pack away. With it being a predator lake I wondered whether the catfish coming alive during the night means the carp are unsettled and don’t get to focus on feeding as they can do during the hours of daylight. Anyway at least I got some decent sleep which was important as I was there to work not fish. The latter was just a bonus. I go through my baits on the video so you can see them there. But the scores ended 2-2 with both providing a brace of fish. 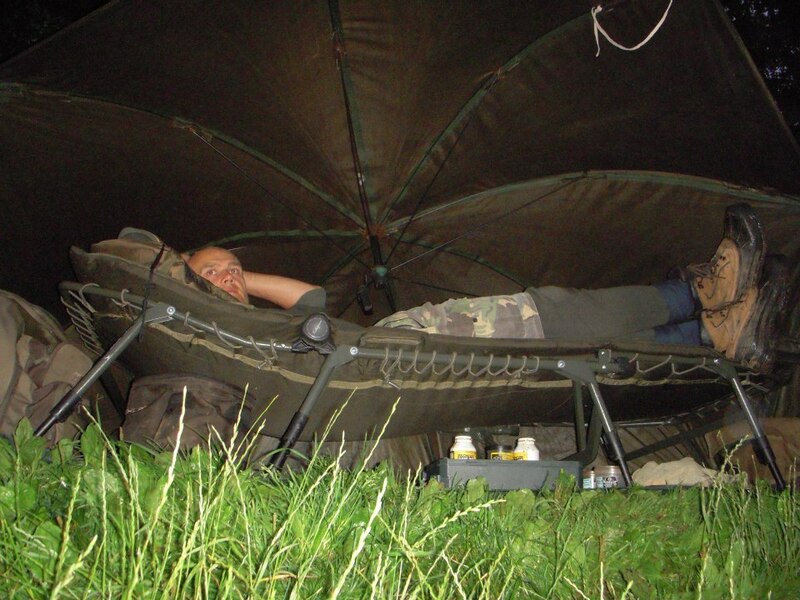 For my next carp outing I was intending to do an overnighter on my syndicate lake. However some tackle I was waiting for, and needed for the session, didn’t arrive. But not to be outdone I decided to spend the night on the Staffs/Worcs Canal instead. In fact I wasn’t disappointed (even though I had been waiting 2 months!) I just focused on the new target venue instead. I even said to my wife before I set out, all things work for good, and I will end up catching an elusive carp tonight. The canal itself looked in good shape with lots of overhanging vegetation on the far bank. 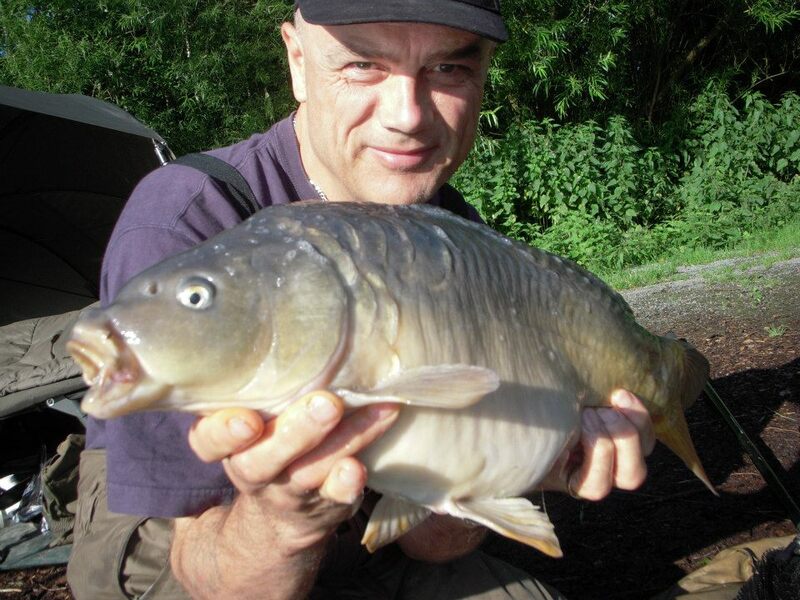 I headed for a stretch where I have actually caught carp before – and blanked as well. My hit rate from the sections I fish is about 1 carp in 5 sessions. I hardly see another angler and certainly never a carp fisherman. Usually if another angler is walking past he looks at my set-up, smiles and says something like ‘There are no carp in here’. I can understand why people think that, they are definitely the proverbial needle in a haystack job. I’ve done a lot of exploring, gone through loads of blanks and couldn’t even begin to count the hours I’ve spent by the canal since the 1990’s hunting these elusive creatures. And that’s one reason why I keep quiet about venues I’ve worked out for myself. Some anglers expect – even demand – that you tell them where you’ve been fishing. But think about it, would you put all that hard work in and then reveal your successes. And it is the successes that some people want, not the fish-less sessions. They just want to know where you’ve been catching, not where you’ve been blanking. So if you do play your cards close to your chest, and you get accused of being selfish, in an ironic way the accuser is the guilty one really isn’t he? So how did the session go? With a warm, dry night in store I just set up just my bedchair, which was ideal really as it was such a tight spot that you can’t really get a shelter in. My bait approach was the same as at Tara Lake with 2x tutti frutti pellet shaped boilies on one rod and 2x 12mm M1 pop-ups on the other. As well as throwing out a small number of loose offerings I put three handfuls of pellets (multi-mix) around where each hookbait was. I didn’t want the bait in a tight spot. Hoping to ambush any passing carp I wanted to make sure they stayed rather than swam on. And the way to do that was to spread the bait over a reasonably wide area. The carp aren’t fished for and once they found a pellet or a boilie they would then find the next one and the next, and then the one hair rigged to a hook. And that’s exactly what happened before dark proper as I had a couple of indications on my bite alarm that something was going on. Then once the fish realised it was hooked, and that the two little balls of food it had just taken sitting off the bottom were indeed a trap, it took off. 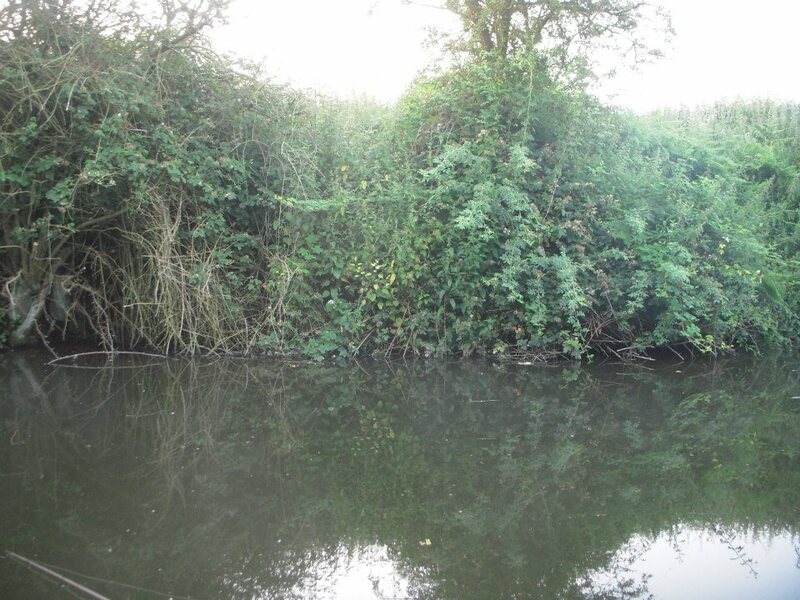 As it’s the canal I picked up my net and moved 20 metres down the towpath to net it there as opposed to playing it back along to where it was originally snared. The fish I catch from the canal aren’t big, mostly around the double-figure mark. But it’s not the size that’s important; quite simply the success is in the capture. As I slipped the fish back I was definitely one of those happy bunnies. No more carp followed but I did get a small midnight bream on the tutti frutti baits. I’ve already referred to my bite alarm and for the record I’ve been fishing with ATT’s for a while. But I realised I still have a couple of older models around at home so decided to put them together for a photo-shoot. The Fox Micron still looks stylish and modern but look at the Shakespeare one. 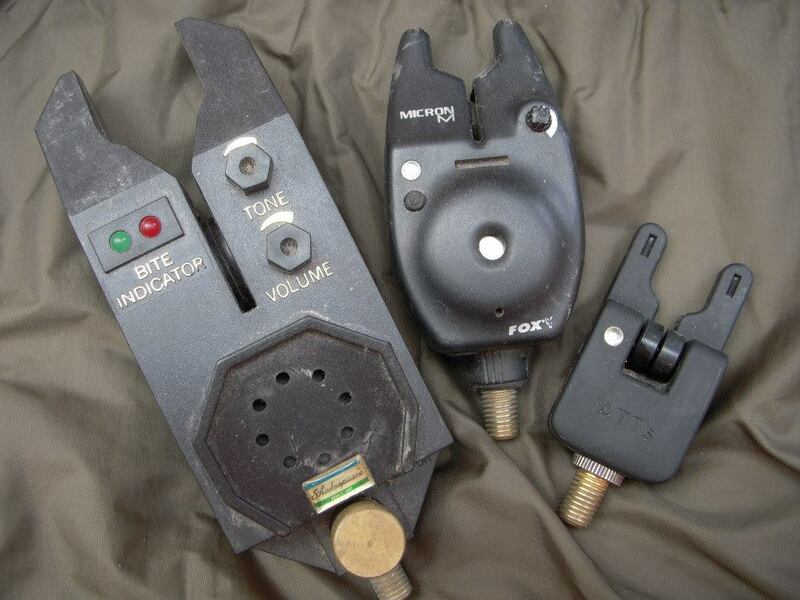 Big and bulky, I certainly takes me back a few years! And I put a battery in it and it still works. Might do a feature on them in a future video! 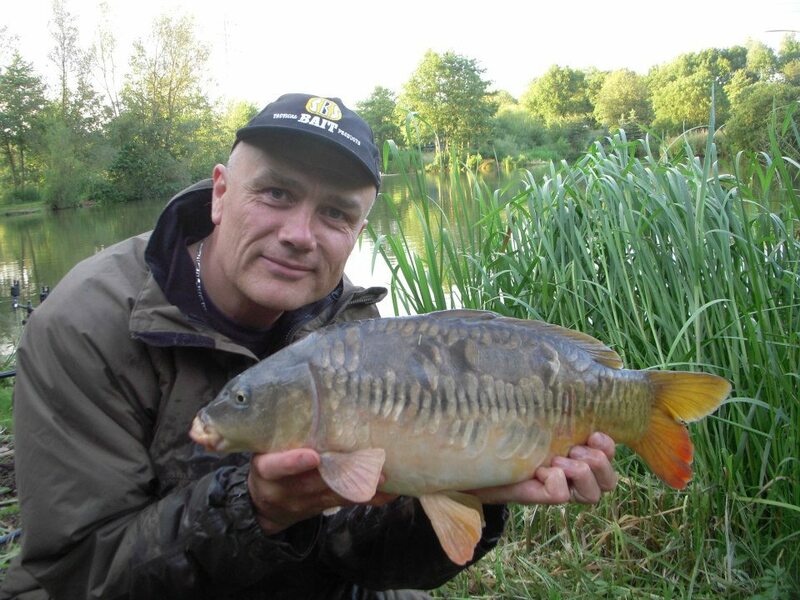 With my much-needed tackle arriving I decided to head for my syndicate lake on session three. By the time I set up it was well into dusk and it was a case of lying back and waiting. I do more than just remain idle though and with a warm and pleasant night in store, out came the bat detector. At one stage I was listening to 3 bat species – common pipistrelle, daubenton’s and noctule. The alarms remained silent though apart from small fish picking at the baits. I had boilie pop-ups on both rods, with a single 12mm M1 on one and a 14mm lobworm on the other. 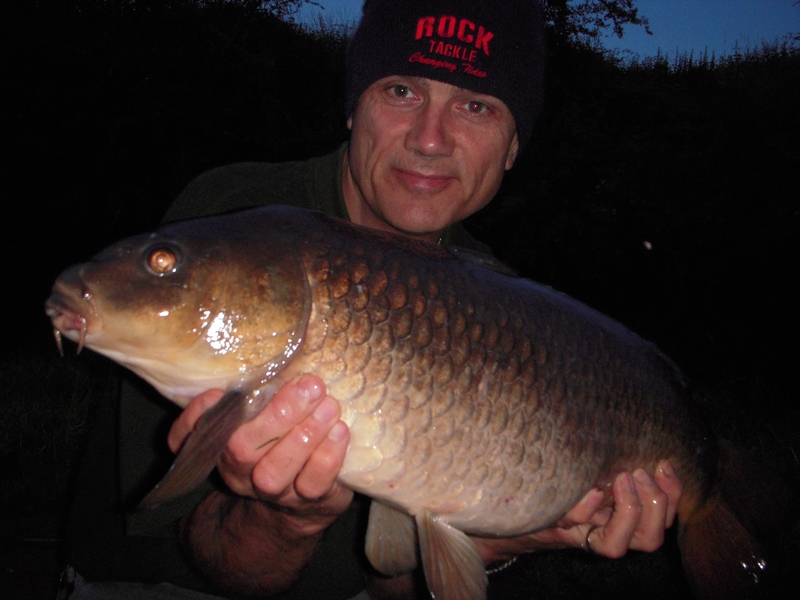 But at 3.00am I finally had some action as a carp took the former. I did all the hard work by keeping it out of the weed, then about 2 lengths out I had a hook pull. No more bites of the cherry for me and I reminded myself of just how thin that fine line is between ‘success’ and ‘failure’. In this case it was the latter. But lost fish either break you or inspire you and I was back the next night. In fact I was back the night after as well! The first night was hopeful, as even before dark proper, I had a run on the M1 rod. 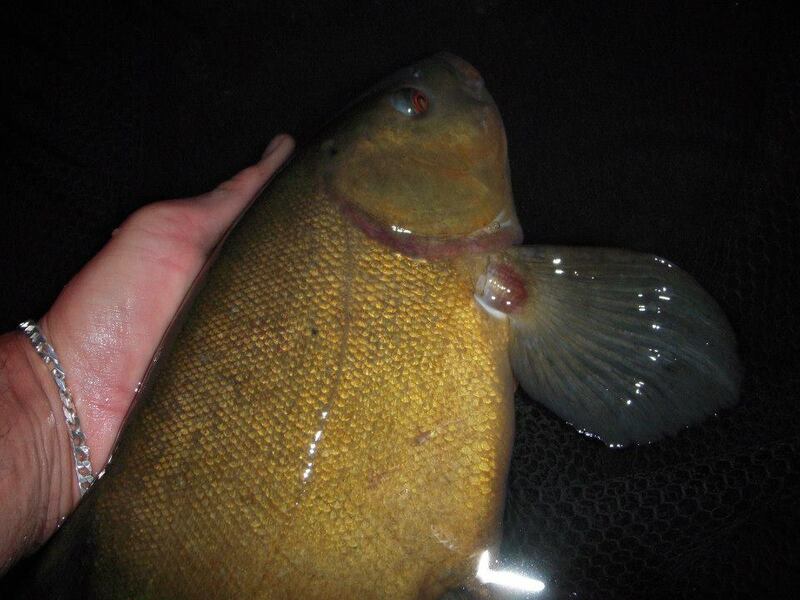 The result was a tench. Not the carp I was after but at least I had caught something and the session was still young. Unfortunately though, that fish was all I had to show for my efforts. And the next night was even slower in terms of action. I think I dozed off about midnight, had a single beep at 3.30am, dozed off again and woke at 5.30am. And that was it. Talking to another carp angler on the car park though it seems like it had been tough all round. If only I hadn’t lost that fish eh! 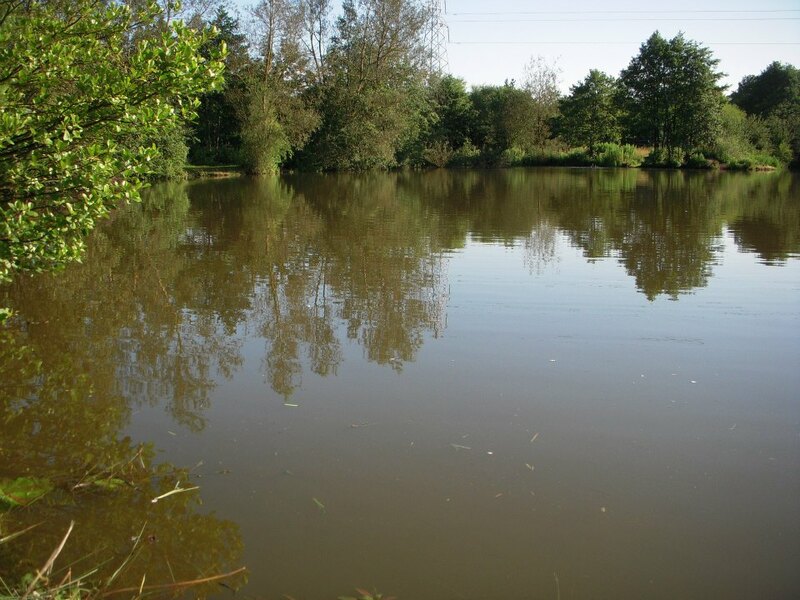 Don’t forget to visit my website HERE where you can access the last 14 week’s of fishing by a simple click on the home page. There is a weekly entry going back to 2003. I do get a lot of visitors and I guess one of the reasons is that it is regularly updated – every Saturday without fail. Then there’s my YouTube channel HERE which at the moment features a video from the show at Cudmore on the home page. And don’t forget to ‘like’ my facebook page HERE. 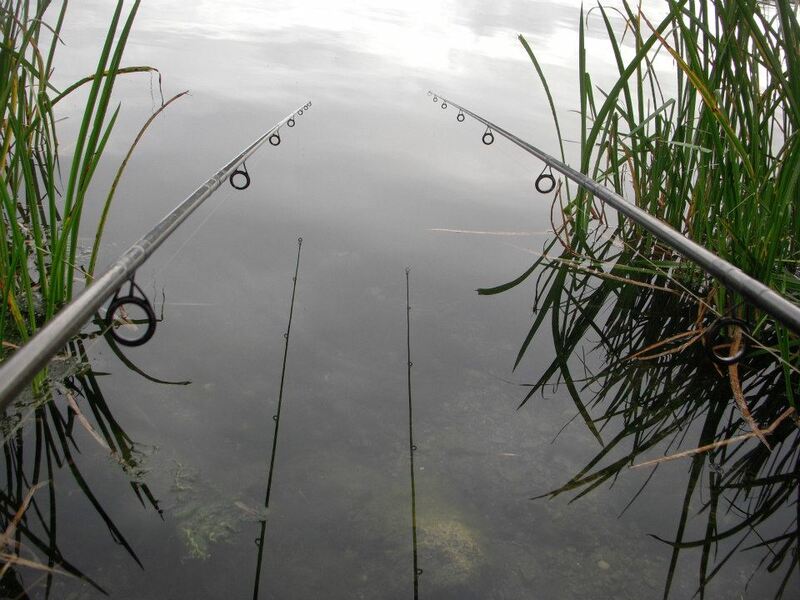 If you want to keep up to date with all my angling stuff, it’s the place to be.